So begins the story of Travel Visa Pro, the visa and passport agency founded over 10 years ago by Kest Gregeris and Rene Reklaitis that helps international travelers navigate the government paperwork they need to be on their way. Human error is a common cause of delays, rejections, and suspensions of passport applications. It stands to reason that you’re more likely to make a mistake if you’re not familiar with the forms, and major problems can result from even tiny-seeming issues—like your head being the wrong size in your photo. If your dog eats your passport just before your trip, or you realize it’s about to expire, you’re gonna need a hand. Travel Visa Pro offers emergency eight-hour service for all passport and visa applications. Get that? Eight-hour service! 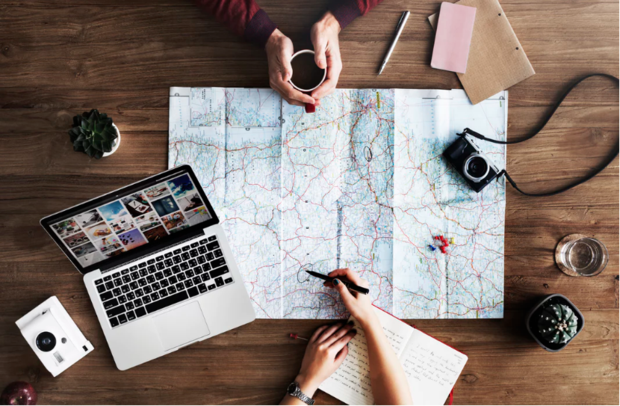 Basically, why stress out and risk wasting the time and money you’ve already invested in your trip when you can have a crew of seasoned pros ensure all your i’s are dotted and your t’s are crossed? Especially during a time of increased global volatility—when President Trump could issue a new travel ban at any moment, and when China and Russia are changing up their travel requirements and fees—it’s a good idea to have some experts in your corner. Travel Visa Pro’s website offers tons more information about travel goodies you may not have even heard of (like second passports, passport insurance, and travel registration), and you can live chat your questions for super-quick help. When the time comes to get manual with your paperwork, Travel Visa Pro has nine offices in the US, all stocked with friendly reps—and lucky for you, one of them is right in Midtown Manhattan. Walk-ins are welcome.